Avren Woodall, a junior at Leon High School, recently won a $2,000 FCCLA scholarship for 2nd place finish in “Cupcake Battle”. She will compete at state in April. 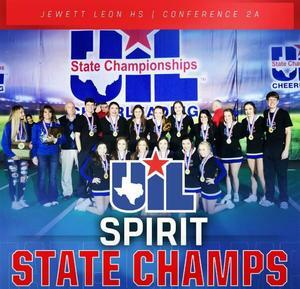 Leon Spirit Team brought home the gold medal at the 2019 State Competitions. Chon Cunningham, Nathan McCoslin, and Colby Garcia are Speech and Debate All-Americans!! Softball game at Latexo this week has been CANCELLED! !